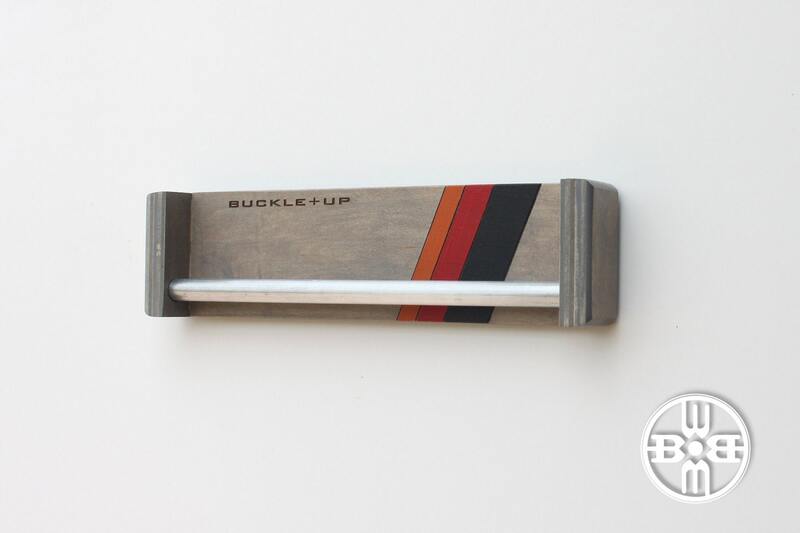 • The words "Buckle + Up" are laser engraved into the wood, but personalization is an option. 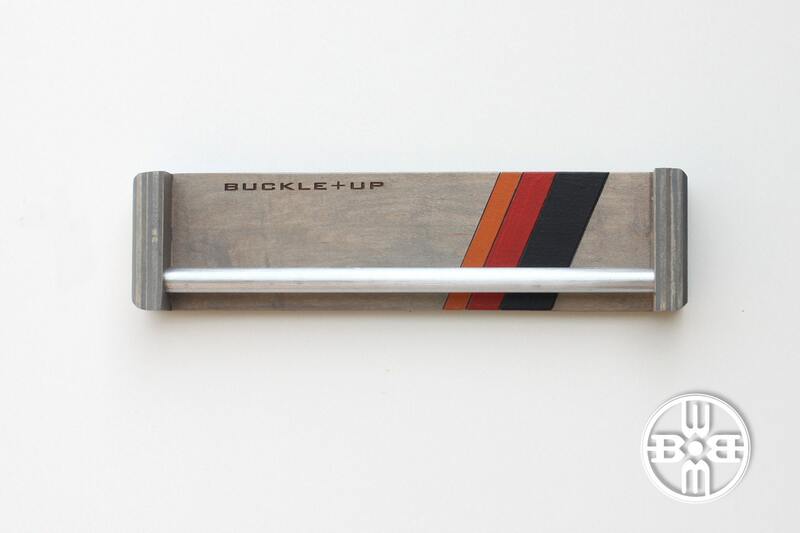 It has hand painted stripes (orange, red and black) with a distressed silver rod. 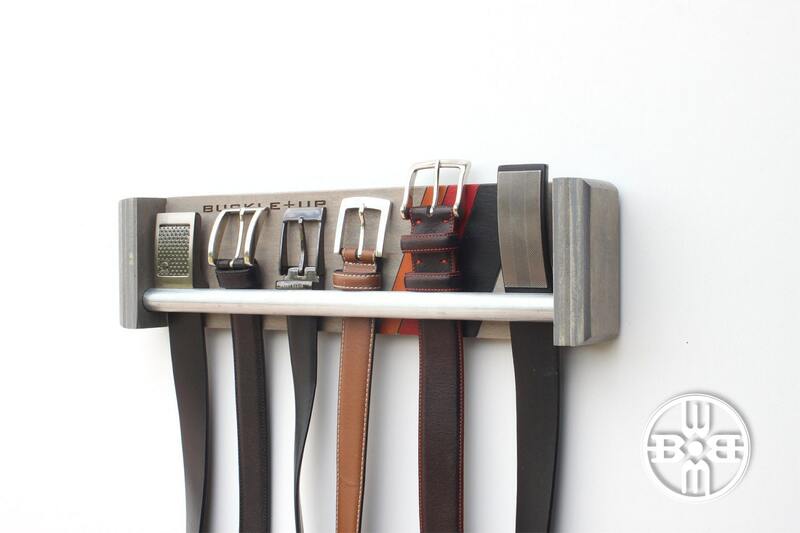 Our belt rack is stained weathered gray and clear coated with a matte finish for enhanced durability. • Product Dimensions: 16" long x 4" tall x 2" deep. 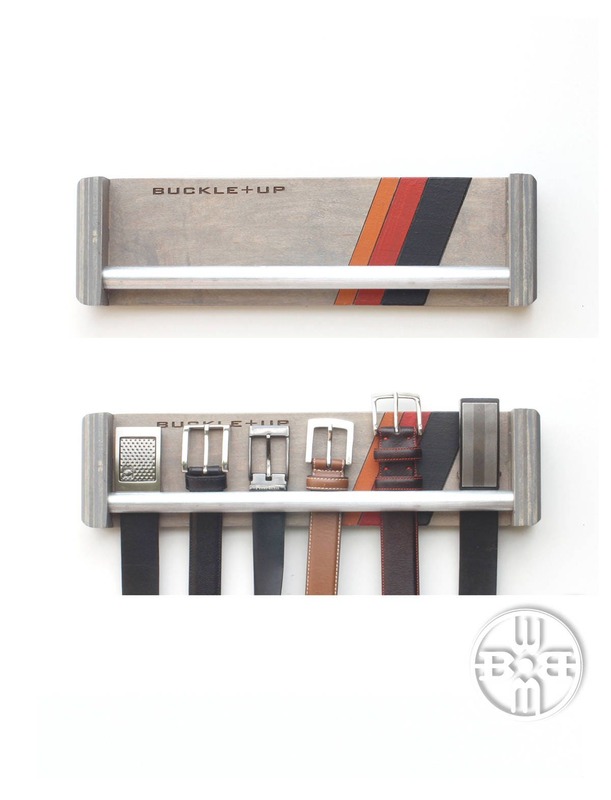 • Colors: Distressed gray, orange stripe, red stripe, black stripe, and distressed metal rod. 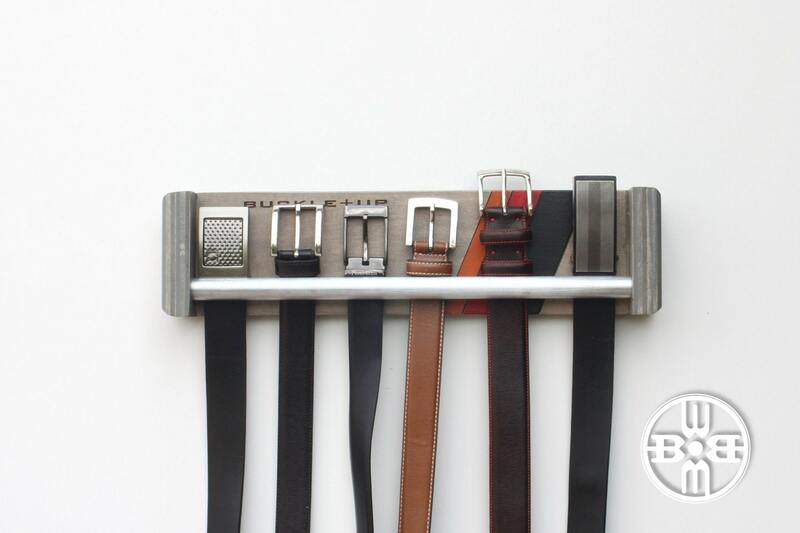 • Easy to hang via two keyhole fasteners affixed to the back of the item. 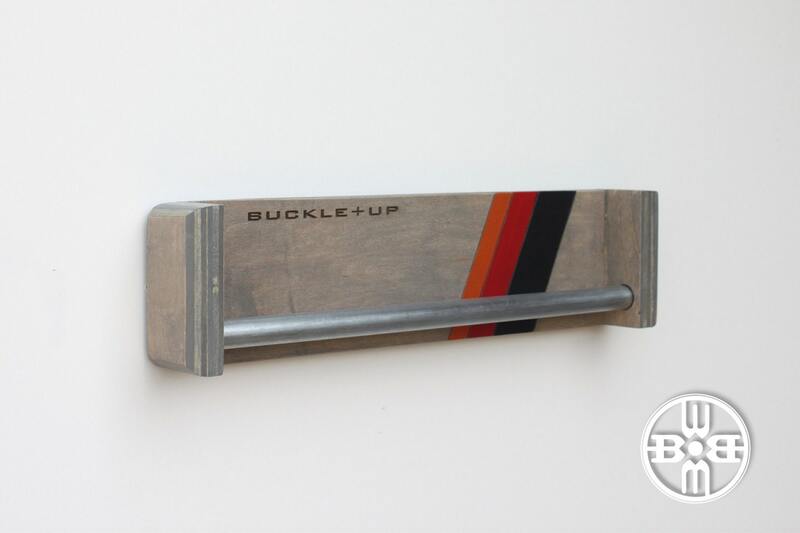 • Your "Buckle Up" belt rack ships within 5-7 business days following receipt of payment. • Feel free to contact us about custom orders. • Custom and personalized orders are final sale.